Osteopathy is an interesting approach for pregnant women, whether the goal is to improve the well-being of the woman during pregnancy or as a preparation for delivery. The treatments will aim at normalizing the tensions and blockings to allow a good progress of the pregnancy and facilitate an optimal delivery. To reduce stress and fatigue. After delivery, the woman’s body has sustained many rapid and significant changes. To rapidly reshape and make the most of the new experience with the baby, osteopathy offers treatments after delivery, serving as to assure an optimal recovery of global mobility and flexibility and to answer concerns related to repercussions of pregnancy on the woman’s body. don’t wait. Go ahead ! Osteopathy can provide benefits at any age. WHOEVER YOU ARE, BE OSTEO! At which moment is it preferable to consult in osteopathy? At the beginning of pregnancy, the osteopath will be able to evaluate the posture and the global mobility in order to get to know the patient’s « field ». Does her body need help to be able to adapt to all the physical changes required by the pregnancy. Afterwards, depending on the woman’s needs and the osteopath’s recommendations, it may be possible to have a follow-up at every trimester of the pregnancy to work again on posture, mobility and adaptation capacity. At the end of pregnancy, it can be interesting to work on delivery preparation. With techniques adapted for the pregnant woman, the osteopath will be able to make sure that the global posture is well centered and that the mobility of the pelvis, the lumbar region as well as the pelvic floor flexibility are optimal to allow a good mobility of its structures during delivery. Are there any contraindications concerning osteopathy treatments for the pregnant woman? Yes there are certain contraindications, that is why the osteopath will work in collaboration with the family doctor or the obstetrician assuring the pregnancy follow-ups and he will adapt his intervention according to the recommendations of the latter and the woman’s needs. As an example, considering the pregnant woman produces a lot of « relaxin », especially at the end of pregnancy, the ligament laxity increases. 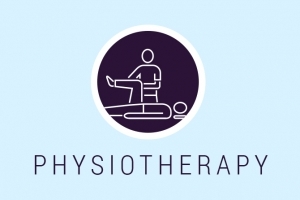 The osteopath can then adapt his intervention and choose techniques of soft mobilization, of muscular and articular pumping and of reciprocal tensioning. It is also possible to adapt the treatment positions to allow the pregnant woman’s comfort during the session. Osteopathy interventions can be done lying on the back, on the side or even in the sitting position for better comfort. How can the osteopath help to live a more optimal pregnancy? Our clients continually tell us about the overall improvement to their physical health resulting from sessions with our professionals. © 2017 Clinique Inspiration - All rights reserved Creation: Erod, creative agency.